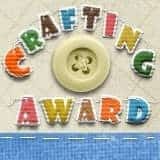 Kathy, the owner and designer for Peachy Keen stamps is having a birthday! 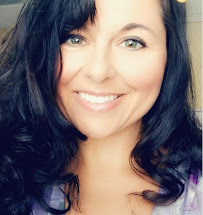 I haven't known her long but I already know she is a wonderfully kind and generous person and has made me feel like a member of the PKS family! The design team wanted to surprise her with a special blog hop to celebrate her birthday. If you arrived here from Viv's site, then you are on the right track. Be sure to invite all your friends for a hop you don't want to miss! You will have a chance to win one of Kathy's favorite things! There will be 10 different prizes awarded to 10 people. Please leave a comment here and I will be drawing a random winner for the Peachy Keen 1 1/4" Snow Faces stamp set. *all punches are Stampin' Up! LOVE it!!!!!! those bombs are too cute!!!!!!!!!!!!!! Kim you card is too cute ! And your right Mrs.Kathy from PKS is the BOMB !! Happy Birthday Mrs.Kathy ! Great card Kim! Love her party hat and dress! Happy Birthday Kathy! Hope your day is awesome! OK....this card is oh so creative ~ the bomb LOLOL !!! HAPPY BIRTHDAY KATHY. Beautiful card. I always look forward to many more inspirations. HAPPY B DAY KATHY! Woot Woot! funny card = ) happy birthday kathy! Happy Birthday Kathy! What a Funny Card! I love it! Great Job! TFS. HAPPY BIRTHDAY TO YOU, KATHY. SUPER CUTE CARD. LOVE ALL OF YOUR PUNCH ART DESIGNS. Happy Birthday Kathy!!!! what a wonderful thing your daughters and design team are doing for you. Love the card you have created from punches. Your card is just the cutest! I cant believe what you can do with punches! so cute! Love the little bombs! haha.. too clever! thanks for sharing! Have a wonderful birthday Kathy! May all of your wishes come true! Happy Birthday Kathy, wishing you a Great day! This is so much fun! I follow you every single day! Happy Birthday Kathy. oh Kim, this card is too cute and hysterical!! It's so clever with the little bombs!! Kathy is going to LOVE it! OMG This is too cute! I am sure that Katy is going to love it!! Happy Birthday Kathy, What a neat idea for punches. Thanks so much!! that is such a cute card. What a great idea. thanks for sharing. This is just too cute (& funny.) I know Kathy is thrilled to have all of you ladies shower her w/ such beautiful creations & warm wishes. Very cute card! My friend was "The Bomb" for Halloween, so it sure did make me smile. SOO CUTE!!!! You're the bomb! Love it! Happy Birthday to Kathy! :-) What a super cute card! Happy Birthday Kathy, what a cute card, I would never have thought to use bombs for a woman's card, but you made it work, cute. This card is just to cute you did a great job hun. How cute!, and so creative. Thanks for sharing. I love PK stamps!!!! :) Happy Birthday Kathy! Such a cute card. Happy Birthday Kathy!!! Your card made me laugh...love the bombs. What an adorable card!!!!! Happy Day Kathy!!!! this is really CUTE!! I'm sure that she will love it! You're the bomb. Too cute. Very cute card, love the bombs. Kathy's going to explode with happiness, just like your card, when she sees all the love you guys came up with today. Great hop! Oh! This is so cute! I love the bombs! This card is adorable and so fun. Great job. Fun Card. YOu did a great JOB. Love the "bomb" card! How cute!! I hope Kathy has a wonderful day! Happy Birthday Kathy! I love PK stamps! Enjoy your special day! Love your card, so creative!! !Happy birthday to Kathy!!!! Happy Happy Birthday Kathy!!!!! OMG...This card is da bomb!!! How cute!!!! She is going to love, love, love this!!!! Thanks for giving the recipe because this is for sure a winner!!! Cute card idea. Love the bombs! Oh my word Kim!! This is just flippin adorable!!!!!!! She is going to love this!!! Blog birthday hopping! How fun! THANKS for the great ideas! How cute! This is a great idea for any type of occasion. Your card so cute!!! and Happy Birthday to Kathy!!! MWAHAHHAA I literally LOLed at this one! Awesome concept!!! LOL...love your cards...such a cute card. OH MY, how creative is this. I LOVE it! Great job Kim. This card is amazing! I love what you can do with only punches!! Happy Birthday Kathy. Your card is really cute. Thanks for a chance to win. amazing how you make things with your punches I just love it. Thanks so much for sharing. so cute ! love this hop ! That card is awesome! I am completely blown away by the use of punches! Happy Birthday Kathy!! Hope its a good one! Great birthday card - very creative! Love your imagination! 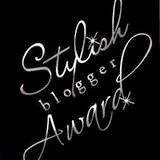 I am about to start the blog hop - thanks for the list! To cute for word's.....Happy B-Day Kathy!!! Love the Bomb card!! !it made me giggle when i notice them!!! to cute..
Kim I love this card! It is the bomb, so cute! You have great ideas! Amazing how you did this cute girl out of different punches and I love the bomb idea. Thanks for sharing your cute card. Fabulous! I think this is too funny! I love it! Omg.. Too cute!! The lil bombs are soo cute!!! Thanks for sharing!! What a cute card! Loved it! Thanks for sharing. Oh my word, what an amazing job with the SU punches. Love the bombs, Kathy is going to love this!! Kim, this is so cute!!! Your talent and vision with those punches just blows me away!!!! The colors you chose are perfect!!! WOW! Punch art is very cool but I don't think would have the patience...your card is BOMB! Omg that card is sooo cute!!!! I just love this and just in time for a Jan birthday... my BFF will just love this fun card. Tks for sharing I just wish I had half of your creativity. You always amaze me! Super cute card Kim! So cleaver! Your punch art is amazing. This card is so cute....I am now a new follower of yours!!! Cute Bomb card. Love the face on the girl. Happy Birthday Kathy!! 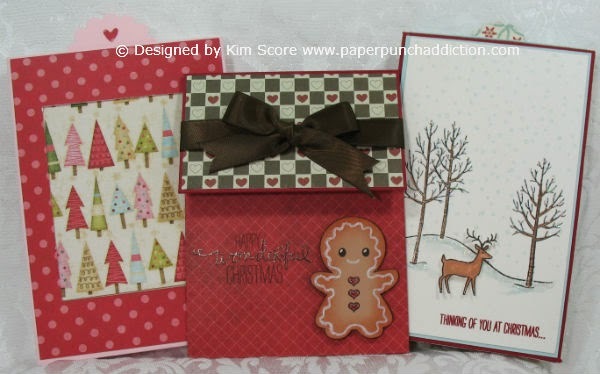 Kim, your card is awesome, I can't believe the designs that you create with punches! Thanks for sharing and the chance to win! Kim A. Personality means everything!!! What a wonderful lady (Kathy), I wish I could meet you!!! aww I love it, the little bombs are great. wow! your punched work is awesome! and to Kathy......have a "PEACHY" birthday Kathy! This card put a big smile on my face when I saw it.... soooo cute! Kathy will love it! HAPPY BIRTHDAY TO YOU KATHY! Oh how creative and clever. Just adorable!!! Love your work. Too cute and too funny! Awesome card. Thanks for sharing. Wow you are amazing with your punch art! I am so glad to have found you on this blog hop I love creating punch art as well! Cute card...and Kathy is the bomb! What a great card for Kathy! To cute Kim!!!! Happy Birthday Kathy! Thanks for the great Inspiration you bring each and everyone of us. The card is funny and adorable. That card is awesome!! Love the bombs :-) LOL! Happy Birthday!! Thanks for the awesome card idea. You are a punch-art wizard!! Happy Birthday Kathy. Nice surprise for you. Love everything that I see at Peachy Keen. I will be ordering soon. Kim, I love your punch art. Kim you card is too cute, I just love the bombs. Boy Kathy you sure are loved by all these wonderful ladies. I hope you have an amazing day today. Such a cute card! I love paper piecing! Thanks for sharing! WOW,WHAT A BIRTHDAY PARTY,I DON'T OWN A SET OF PEACHY KEEN STAMPS YET,MAYBE AFTER CHRISTMAS. LOL! This card is too cute!! Thanks for sharing and a Happy Birthday to Kathy!! How sweet. Kathy is da bomb and the card is perfect. What a great way to feel so much birthday love. Kim, this is soooo cute! What a fun birthday card for Kathy! what a great idea. Kathy is the bomb!!! Awesome! Cute card for Kathy - Happy Birthday Kathy! Very Cute card! Happy BDay Kathy! I would love to win a set of Peachy Keen stamps. They are so darn cute. Thanks for offering. Wow! Thanks for the chance. This is my 1st blog hop...it's so much fun! Love the card...such a cute idea. Super cute!!! Happy Birthday, Kathy! Your card is the bomb! Love it! Happy Birthday Kathy! Oh my, I need to check into punch art more, this is awesome, very nice! !I'll be back after the hop!! I'm totally in awe of your talent Kim! This card is MEGA clever!! Such a cute card. Happy Birthday Kathy!! Kim you out did yourself on this card! Im always saying, "Your The Bomb!" Happy birthday Kathy!!! The card is really cute. Your card is so much fun! Thanks for sharing! Happy Birthday Kathy! What a cute card, Kim. 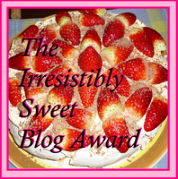 It's my birthday tomorrow, so I hope I win the blog candy - what a cool present that would be. You have made a cute card. The card is sooo cute!! Thank you for sharing! Love your card, It is soooo cute! Happy Birthday Kathy!! Great card! Love the bombs!! So creative ... thanks for sharing your designs! Kim is right! You are the bombs, Kathy! Hope you're enjoying your birthday! I absolutely love the bombs you did in your card! The card is adorable too but I love those bombs! What an adorable card!!! How very creative! Happy Birthday Kathy! Cute card! Hope Kathy has an amazing bday! Happy Birthday Kathy!! OMG, how can anyone not love that card it's sooo darn cute! What a great idea, TFS!! What a wonderful card!! Happy Birthday Kathy!!!!! Well there are some very talented card makers out there.. Happy Birthday Mrs Peachy Keen ! I can't wait until after the holidays to order some of these Awesome stamps ya'll sell. This card is sooo cute! Great idea for a card! Love it! Wow....I just realized you created all of this from punches!!! Amazing!!! Kathy are NO.# 1........... I love her so Much.... Wonderfully Boss. I love your card, it is so clever! Can bombs be adorable? Yes they can! ;) TFS! 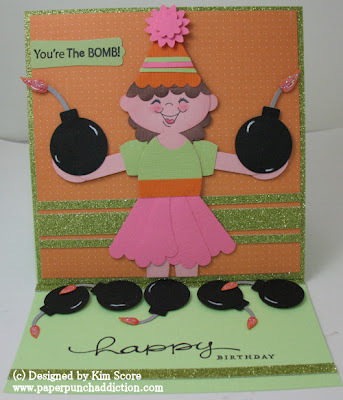 This a really cute card love the bombs! Happy birthday, Kathy! You have so many friends -- and are getting so many awesome birthday cards! Happy birthday Kathy! So cute. Good job on your cute card. You card is adorable to cute and clever! She is the bomb! Love ya Kathy Happpy Birthday! Your bomb card is adorable! Happy Birthday again. Your card is really cute. TFS!! very nice card.. i love the bombs on it..
cute card! the bombs are a neat idea! Never knew you could do so much with punches before! Great job! Love this card!! Kathy is the bomb!! i looooooooove this card! very cute!